Throughout the season we will be keeping members up to date with the various team results, players and more on the clubs website and social media. Members who are not in a competition team who are looking for a practice court please remember to check the court usage page which will give you an indication of availability. In general right through the summer season, there will be two courts available for members usage Saturdays. Senior Comp Team Practice – A reminder about this Wednesday nights team practice starting at 6.30pm. Each weekend Angelo will leave the court allocation and balls for all homes matches in the tournament box. Spare members courts will be listed on the white board beside the tournament box. The 2016 Premier League, the highest level of club competition in Australia, will be held through November and December. 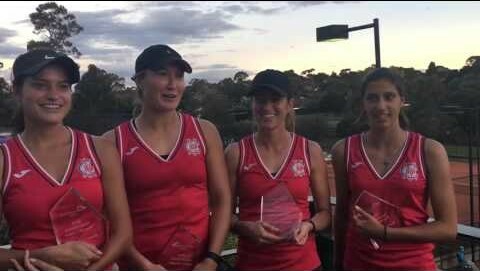 MCC Glen Iris Valley has once again nominated a Women’s team into the 6 team league but will also be nominating a Men’s team. In the coming weeks, we will update you with the players who will be representing our club and giving you a little background about their tennis journey.